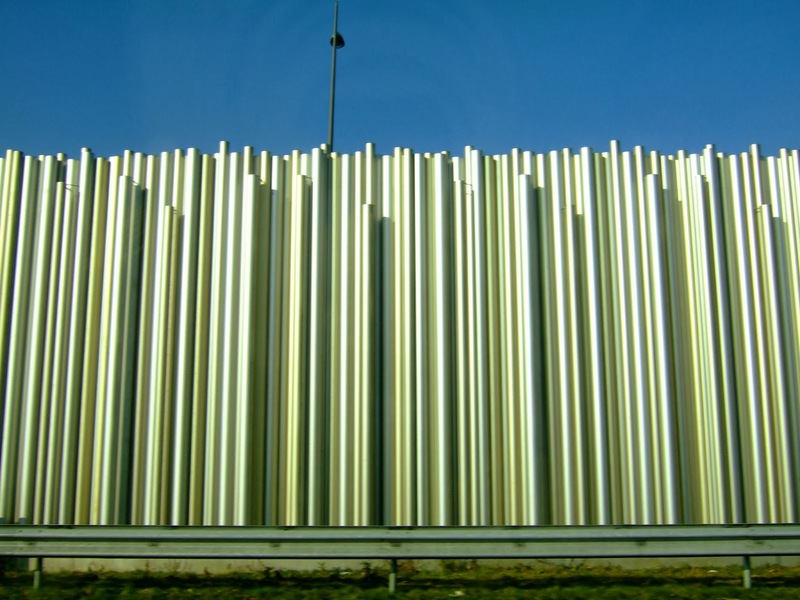 Whoever thought to turn pipes into highway noise barriers deserves an award. As I’ve told my partner a few times – the highways in the Netherlands are some of the best I’ve seen anywhere. While the roads are pristine, orderly and well-kept, it’s not only about function. There are so many design elements found all along it, I sometimes wonder how the government can afford it all. The lowly highway noise barrier, for example, gets the star treatment like these ones I’ve seen several times before down south. Short of stopping along the highway to take photos, all I could do was to click away while we were speeding by at 100 kph. Always nice to see inspiration where you least expect it.